I have recently discovered a great social media management tool, I wish I would have found earlier. ManageFlitter is my new favorite twitter management tool, to help me create an effective twitter presence. As most of you probably know, Twitter is not very keen on any account following more people than they are followed by. Twitter tends to look at these accounts as spam, but one of the most effective strategies to building a following is to follow and interact with people. In order to balance these both aspects, a Twitter management tool, allows you to go through the people who you are following, who are inactive accounts, as well as filter spam accounts and those with no profile image out of the bunch you are following. It is a lot easier to keep your follow/follower ratio down, while still maintaining the ability to gain new and quality followers. There are many tools available to let you do this, but ManageFlitter is the most effective one, I have used so far. With the free account, you can unfollow 100 accounts every day. Not a bad deal for free. ManageFlitter also has additional features for their paid account options. Not only do you have unlimited unfollowing features, you can also take advantage of account analytics, which allows you to see your influence, your own spam probability, and keep an eye on how many followers you have gained (or lost). In Tweet Analytics, ManageFlitter allows you to keep an eye on specific keywords, hashtags, and accounts you want to monitor to gain a more effective insight into any potential future connections or potential campaigns. An additional business plan feature, I have not used yet, is the potential of creating a Power Post. Basically, it allows you to schedule an effective post (either their suggested content or one you write on your own), at what this management tool deems to be the best time for your particular twitter account. 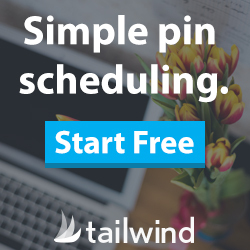 Because I use my upgraded Buffer account for all of my social media scheduling, I have not taken advantage of this feature, but if you are unsure of when it is the best time to schedule a post, this tool can be a helpful addition to your Twitter campaign. Overall I am very happy with the upgraded plan for my twitter account. While the basic account might be enough at the beginning, I purchased the upgraded (12 Dollar/ month) plan after a week of using the free one, because I did not want to be limited to 100 unfollows. That is simply not enough for me, but can make the difference for a small twitter account, and is a great way to get used to the ManageFlitter platform without having to make any commitment. Like I mentioned in the beginning, I wish someone would have pointed me in the direction of this tool a long time ago, but better late than never. I hope, this little article will help you make the right decision for you when choosing a social media management tool for twitter.